Based on research and feedback from instructors about how we can best help them with grading, we are planning to release discussion board analytics in Q2 2018. Opening remarks at the Blackboard Analytics Symposium were delivered by Blackboard Chairman, CEO, and President Bill Ballhaus. He used this opportunity to lay out a new strategic product vision.Today, an LMS is simply not enough to solve your most critical challenges. As we look to the future, we are focused on the development of a comprehensive, digital learning environment focused on helping institutions to solve their core challenges. Instead of building products separately and integrating them into an LMS, we are taking a much more holistic approach helping institutions solve challenges related to educator empowerment, educational integrity, accessibility, student retention, and student success. Through providing educational insight, we are driven to help improve learner engagement and drive academic effectiveness. There are huge advantages to building a predictive model of student risk that only uses LMS data. In addition to being quicker to implement, it is beneficial from a teaching, learning, and ethical perspective because it relies on behavioral factors that can be changed instead of demographic and dispositional features that cannot. In some contexts, we have been able to build models for X-Ray Learning Analytics that are over 90% accurate. But in other contexts, accuracy has been so low that we have recommended against implementing a predictive model.At the Blackboard Analytics Symposium, John Whitmer discussed new research that has led to the development of a readiness assessment for predictive analytics using LMS data. What is incredibly exciting about the approach that we have taken is that it is not specific to any one LMS, and we have tried to document our process in a way that would encourage its use across the industry. Even more exciting, however, is our finding that the patterns of LMS use that must be present in order to build a predictive model are also high impact instructional practices. What this means, is that in readying itself for predictive analytics, an institution must adopt practices that, in themselves, will help have a measurable impact on student engagement academic performance. Last year, we released the National Clearinghouse Data Extension for the Student Management module of Blackboard Intelligence. 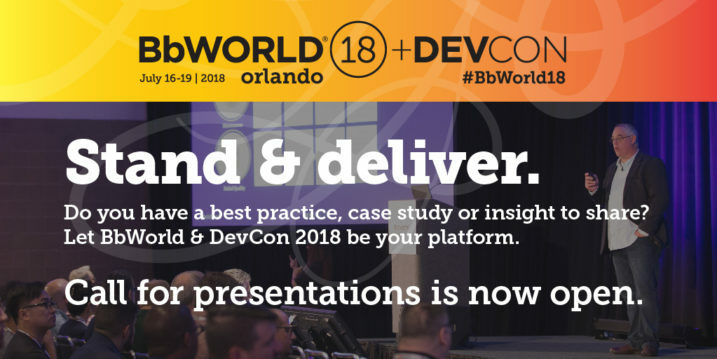 A feature that was widely requested by our customers, we worked closely with two client partners to develop and implement it before making it a part of our core product in July 2017.Following the success of this approach, and as a way of demonstrating our long-term commitment to our market-leading ERP data warehousing products for Student Management, Finance, HR, and Advancement, we have launched the Innovative Partnership Program for Blackboard Intelligence. 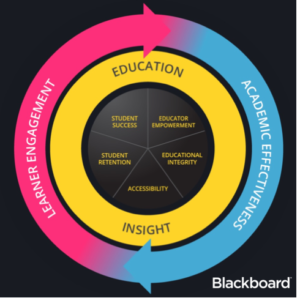 The program invites existing Blackboard Intelligence customers to submit ideas for enhancements and features that they would like us to develop with them and make available to the broader Blackboard Intelligence community upon completion. Applications will be accepted on a rolling basis, with the first round of partnerships to be announced on March 15, 2018.
when grades are assigned, they are poorly distributed. The most common grade is 100%, suggesting that in most cases discussion boards are merely used to assign a participation score. Even when we applied techniques to stretch out the distribution, the model we developed did not produce results that were consistent with actual grading. We came out of this process with a better understanding of the problem. Consequently, we do not plan to release an automated grading feature in Blackboard Learn. Instead, on the roadmap for Q2 2018 are discussion board analytics that empower educators to grade discussion boards in a way that promotes their pedagogical benefits to the fullest. In providing educators with information like post counts, word counts, lexical complexity scores, and a critical thinking coefficient, this is just one of many examples of how we are surfacing educational insights to drive academic effectiveness and learner engagement at scale. Please note, any statements regarding our product development initiatives, including new products and future product upgrades, updates or enhancements represent our current intentions, but may be modified, delayed or abandoned without prior notice and there is no assurance that such offering, upgrades, updates or functionality will become available unless and until they have been made generally available to our customers. Can I add #5 - having conversations with people in real-life you previously only knew from the online community, and getting to find out more about them, their lives and their work? I loved that. And missing out on conversations with others as they were so popular they were in other conversations all the time -- you know who you are!